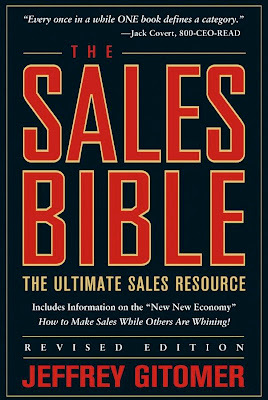 The book of the week was The Sales Bible by Jeffrey Gitomer. This was a hefty book to read in a week... 340 pages later, here I am. I am not a salesman, but everyone uses sales. You can even think of some of the ideas in this book as negotiation techniques. When you go into a negotiation either you sell them on yes or they sell you on no. Sales are no different. Within negotiations, there are very basic forms of communication that are effective and some that aren't. This book is very well-rounded in keying in on the effective ones. I play some of the communication techniques out in my head as if I were talking to a girl at a bar. For example, think of questions that build your rapport. Analyze the situation and the environment and ask questions about things you can infer are important to her i.e. her job, her hobbies. Another similarity is joke telling. It lightens the mood and it makes you appear more personable. And my favorite similarity between selling a product/service and selling yourself to a lady at a bar... tickets. Tickets to sports events, movies, theater, or in the case a lady, dinner. The only difference is when you give tickets to clients you can't assume that you are the +1, but with a lady, you probably should be. The reason these two sales events are similar because both are meant to sell a relationship. If you are able to build a relationship in sales then you get yourself a customer. And customers come back. The book says "I'd rather have a 100 satisfied customers than do business with 1000 prospects." I was sold recently by one of my friends. I realized after reading this book that I would not have said yes if he didn't follow up. Following up is very important in sales. Too often it's just easier to ask the first time and when you leave on an uncertain note, give up. If you follow up with a 'maybe client' you are more likely to get a yes the second or third time. Come up with a system to follow-up too. If your system is as simple as putting it on a calendar or even a post-it... come up with an organized system to not allow any of your leads slip through the cracks. Lastly I want to talk about networking. More important in sales than almost any other business field (although very important in all). A lot of sales positions have you write down 100-150 leads before you even start. They want a list of every family member, friend, colleague and so forth. You use these leads to pitch your first 100-150 sales... but then it's all about networking. If you don't network, your sales end at those people, but if you ask each one of those people to refer you to a friend you turn 100-150 in to 200-300. You have to be persistent though and never let the leads run out. 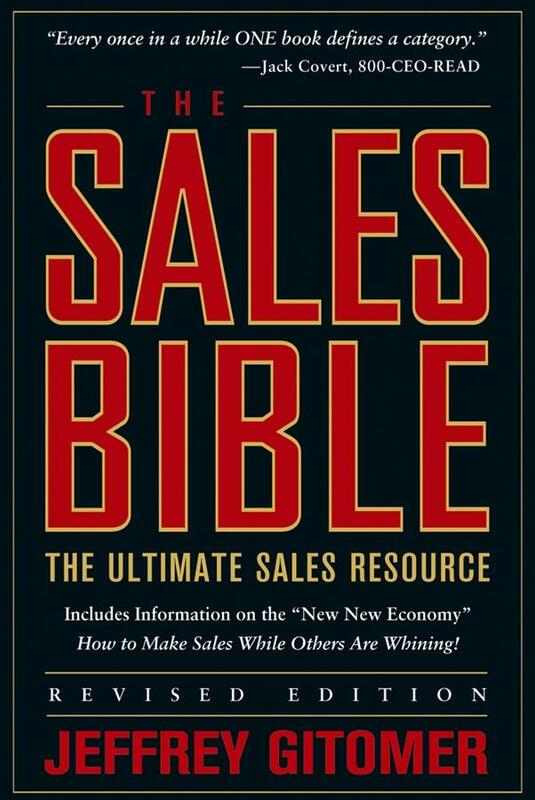 After reading this book I have much more appreciation for a 'good' salesman. There are so many angles to be aware of to negotiate yourself to a 'yes' response. This book is completely filled with everything sales related. You could dissect a different portion of this book each week and have enough material for several years. It's a lot to take in. As always, if you have any questions on the book don't hesitate to ask. I would be more than happy to help anyone that wants it.